A wave of Vimy Centennial commemorative activities brings interpretations, reinterpretations, myth building and myth-busting to understandings of the Battle of Vimy Ridge (9-12 April 1917). A hundred years since the beginning of the assault on the fortified German positions around Vimy, I focus on the remaining artifacts, and, in particular, large war trophies captured by advancing Canadian units. Vimy was a victory for the First British Army, and especially its Canadian Corps, commanded by Lt. General Sir Julian Byng. It was a bright example in the larger Battle of Second Arras, and a small counterpoint to events of the disastrous Chemin des Dames Offensive. It was also the first time since the stalemated trench war began that an advance had captured a whole range of enemy armaments, from rifles to siege howitzers. 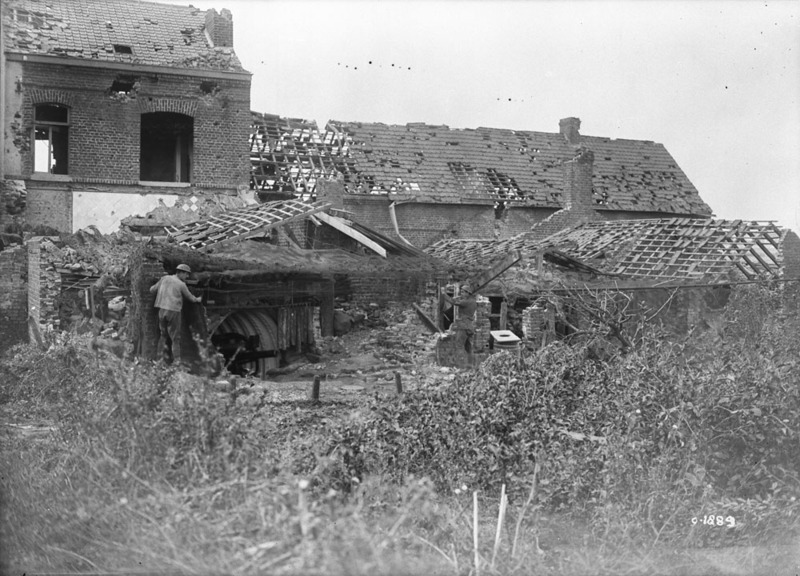 On the morning of 9 April, the advancing infantry battalions had rolled over the German front positions, continued through defensive lines, and surged over German artillery batteries, whose personnel fled or were captured. Canadian Expeditionary Force battalions captured machine guns, trench mortars, field guns, and a range of howitzers. 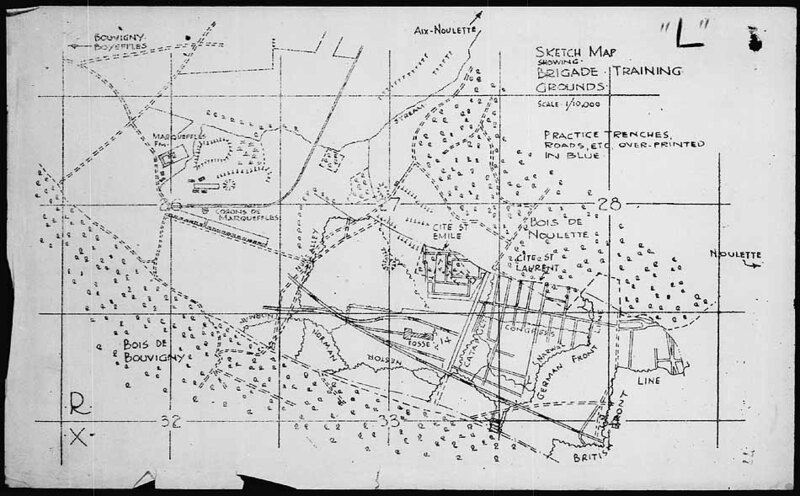 An element of the intensive training leading up to 9 April prepared infantry to make use of captured guns and stores of ammunition, and several pieces were repositioned to fire on the retreating Germans. The symbolic and public relations potential of these captured items was quickly appreciated by the Allied command. Large trophies wound up prominently displayed in Paris and London. They were conspicuous evidence that, with the right preparations, logistical support, aerial reconnaissance, innovative tactics, and a paralyzing bombardment, crack German troops could be pushed off formidable defensive positions. 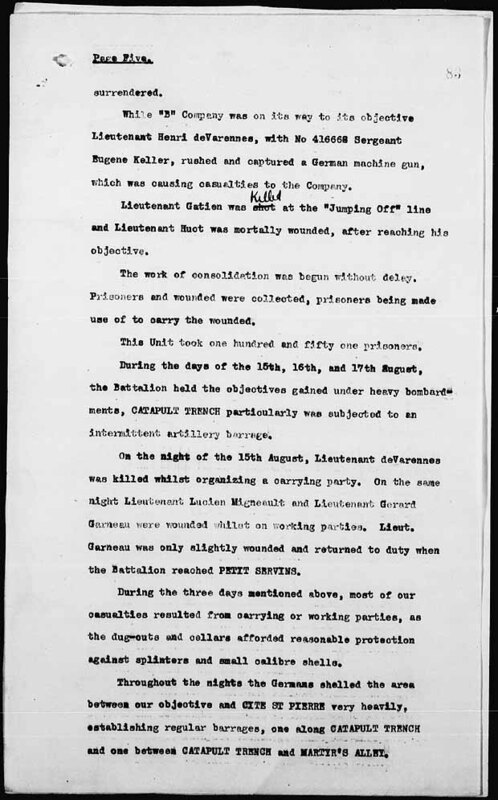 The human cost of Vimy was considerable, with more than three-and-a-half thousand fatal casualties to Canadian units, and many more wounded. In the early 1920s, the War Trophies Commission shipped at least 90 of these guns and mortars, noted as having been captured during the Vimy operations, across Canada. Many wound up on display beside newly-constructed cenotaphs, bearing the names of local men who had perished at Vimy and elsewhere. I am familiar with about 15 cannon and mortars, and a few machine guns (that could be the subject of another post). What follows is a brief survey of a few of these. The 15cm sFH02 heavy howitzer West of the overlook on Ave. Ontario, Plains of Abraham, Quebec City, was captured by the 60th Canadian Infantry Battalion at Bois de Folie, 13 April, and according to the War Diary of the 60th, used against the enemy. The 10.5cm leFH howitzer at the Mi’kmaq community at Lennox Island, PEI, was captured at Farbus, Vimy, by the 27th Canadian Infantry Battalion, and used by the 21st Howitzer Battery for months after the Battle firing thousands of captured rounds back. This gun was captured when “A” Company rushed the battery, and appears in the relevant War Diary list of captures. It was originally sent to the nearby community of Grand River in September 1920. 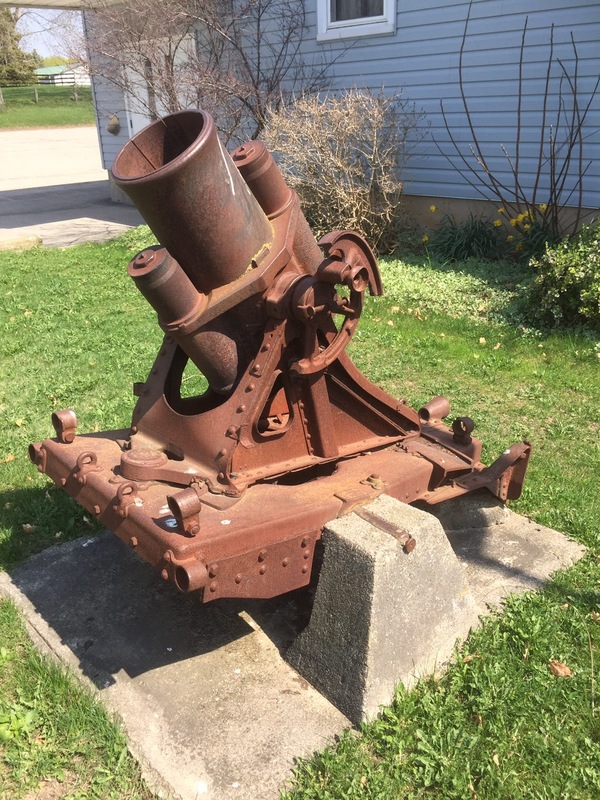 The Brome County Historical Society museum in Knowlton, QC, today has a light minenwerfer captured by the 54th Canadian Infantry Battalion at Vimy. 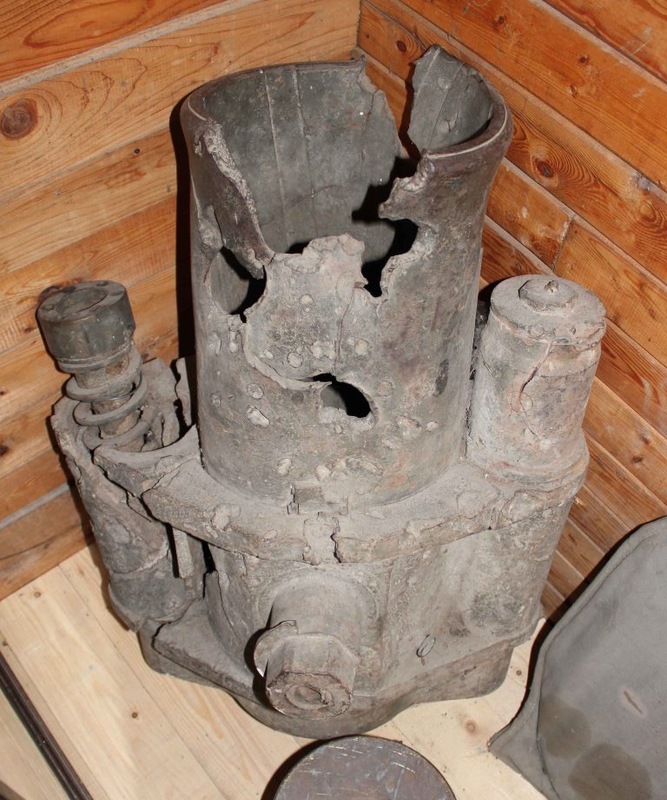 There is also a very large 25cm schwerer minenwerfer barrel, blown apart and pitted with schrapnel. This powerful artfact was captured by the 102nd Canadian Infantry Battalion. It tells the story of the devastating preparatory bombardment. 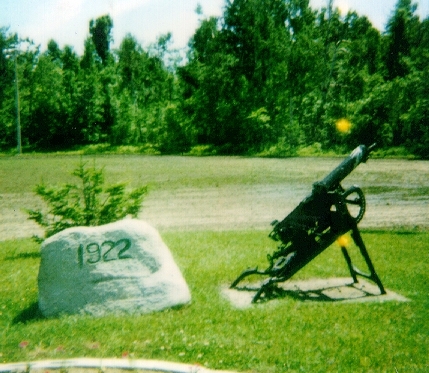 Tavistock, ON also has a 25cm heavy minenwerfer, with the same 102nd Infantry Battalion provenance. This is in front of Royal Canadian Legion Branch 518. This mortar is much more intact. Kingston, ON has an unusual 7.7cm FK 96 field gun, that was captured by the 21st Infantry Battalion at the Les Tilleuls crossroads. The barrel assembly was later repurposed by the British and installed on a pedestal mount. 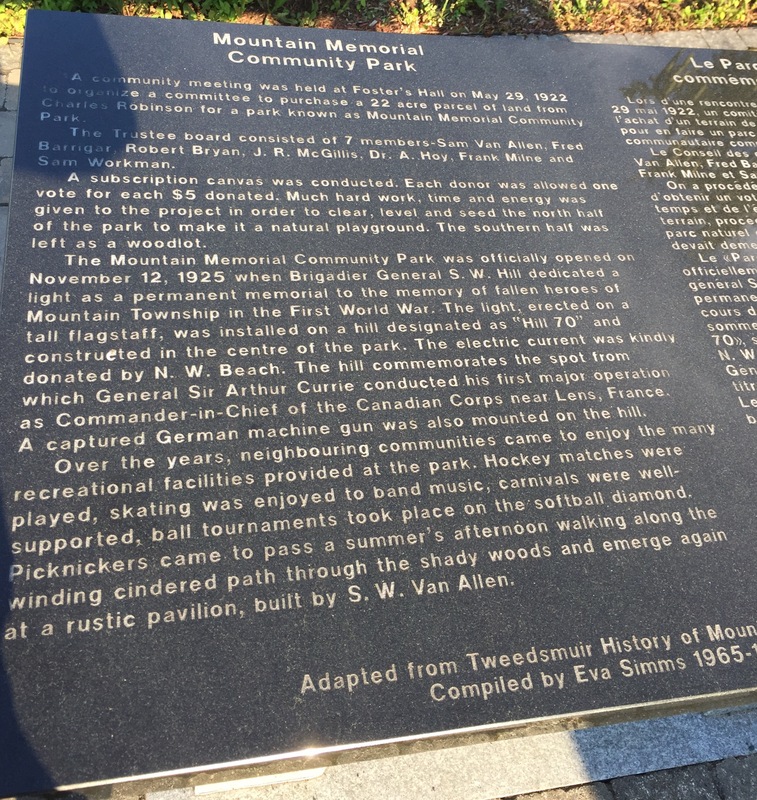 These are just some of the examples, and I have published many posts before about these and other Vimy trophies, such as the Victory Loan gun at Hopewell Cape, NB, which has received attention. Others, like the rare infantry gun at Esquimalt, I have yet to post about. Today, the Brome County Historical Society, in Knowlton, Quebec, has one of the strongest collections of First World War military artifacts in Canada. This is largely due to the efforts of Senator George Foster, who petitioned the Dominion Archivist and Comptroller of War Trophies Arthur Doughty for a quality collection. In addition to the spectacular Fokker DVII German biplane with original fabric covering including camouflage (with a good write up about it by a BCHS member here), the BCHS has a diverse collection of German trench mortars and a range of German machine-guns. Since Sep. 2013, work with Ross Jones, the museum’s militaria specialist, has established the battlefield provenance of many of these items using the War Trophies Commission records at Library and Archives Canada. We have poked around pieces, trying to discern key numbers, and any matches have added to the number of surviving pieces in my database. Some of the trophies also have capture info painted on by hand. The range of items, from machine-gun belt fillers (which look like a pasta grinder) to trench periscopes, to aerial bombs, gives a good idea of the variety of small trophies that once accompanied many of the larger artifacts out to sites across Canada. A very significant find was had when Ross managed to man-handle the destroyed barrel of a 25cm heavy Minenwerfer trench mortar around to discover the serial number. The 102nd Canadian Infantry Battalion captured mortar no. 1524 (along with 119 German prisoners) on Vimy Ridge, April 9th, 1917. The barrel, bearing heavy shrapnel pitting and shell damage, is a powerful relic of the Vimy victory. This is only a small sample of the varied collection of the BCHS, a small museum worth a visit!